Let ENGY celebrate the happiness with you this festive season. Enjoy this set and make your chats happier while you’re at it! 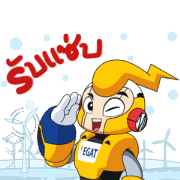 Friend EGAT’s official account to get these stickers for free. ENGY is ready to build happiness with you. Let ENGY help you express your feelings in your daily chats! 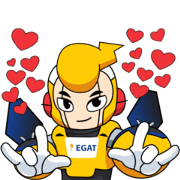 Friend EGAT’s official account to get these stickers for free.